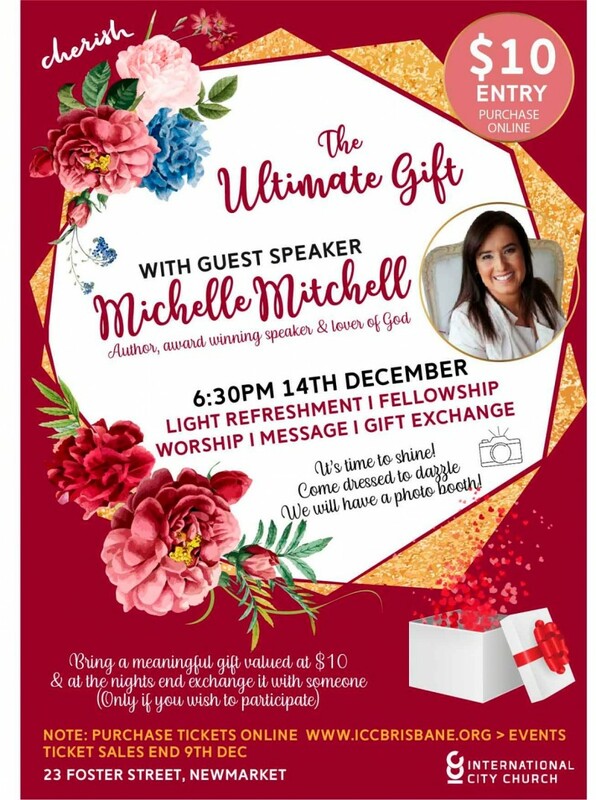 Cherish Night with guest speaker Michelle Mitchell is a special event for all women in ICC to come together for a time of fellowship and worship. Come prepared to receive an inspiring message from Michelle Mitchell, an author and award-winning speaker. Light refreshment will be served. Please purchase tickets by Sunday, 9th December.